Oil futures traded modestly lower during Thursday’s Asian session, extending losses incurred during U.S. traded Wednesday. On the New York Mercantile Exchange, light, sweet crude futures for September delivery fell 0.29% to USD105.29 per barrel in Asian trading Thursday despite some encouraging U.S. real estate data. In U.S. economic news out Wednesday, the National Association of Home Builders/Wells Fargo builder sentiment index climbed to 57 this month from 51 last month. The July reading reading is the highest since January 2006. Readings above 50 indicate builders view the market as good. New home sales advanced 8.3%, the best rate in five years. The seasonally adjusted rate was 497,000 units. Economists expected 484,000. May’s sales rate was also revised up to 459,000. Even solid weekly inventories could not help oil higher in Asian Thursday. On Wednesday, the U.S. Energy Information Administration said in its weekly report that U.S. crude oil inventories fell by 2.8 million barrels in the week ending July 19, exceeding expectations for a decline of 2.4 million barrels. Total U.S. crude oil inventories stood at 364.2 million barrels as of last week. Traders appear to still be concerned about economic data out of China last night that serves as further proof manufacturing activity in the world’s second-largest economy is slowing. China’s HSBC manufacturing PMI fell to an 11-month low of 47.7 in July, from a final reading of 48.2 last month. Analysts had expected the index to rise to 48.6. The U.S. and China are the world’s two largest oil consumers. Elsewhere, Brent futures for September delivery fell 0.14% to USD106.91 per barrel. Gold futures are weighing and responding in earnest to the Ben Bernanke Congressional testimony of the last week. While the futures look comfortable in dealing with the anticipation that the Fed would not taper as soon as the markets had thought, lending it some buying appetite, the prospect of a tapering lingers with an uneasy calm. “There’s still a bit of a thirst for the metal,” Jonathan Barratt, chief executive officer of Barratt’s Bulletin said to Bloomberg. “Given that Bernanke has already suggested that tapering will only occur when they’re very comfortable with the economic outlook, we’re going to see tapering on the agenda but it’s going to be some time before it actually starts,” he added. Gold on the Comex for delivery on August 13 was seen trading at $1,338.85/oz, a gain of $4.15 or 0.31% as of 10.05 AM IST. The multi-billion Dollar question used to be this: When will the US Federal Reserve start to taper? After a series of testimonies this year, the answer looks very much elusive. The Fed could not be blamed on this, because they are doing what that is mandated out of them. The Fed do own the trigger of shooting the Quantitative Easing measures point-blank. Only thing is that they cannot pull it at their will. In fact, having started this whirlpool of money printing, a genie is out, which is refusing to go into the bottle. The markets have in effect become QE fetish to such an extent that it would be difficult to pull the trigger on QE execution. Playing to the gallery is imperative in a politicized economy. Now, the mult-billion Dollar question is if the QE measures would be tapered at all? High profile leadership at PIMCO, world’s biggest institution investing in bond markets, believe that the ultra-loose monetary policy may continue until it is 2016. That is no walking distance from 2013! The fact remains that gold futures would see extended periods of volatility as data releases occur every time. The Fed has clubbed the QE measures to a recovery in job markets, housing markets and a moderate and healthy inflation. Each data release in this category, fluctuating as each one is, would take the futures on a roller coaster ride. Traders can subscribe gold trading tips free trial by ShareTipsExpert, with their accurate commodity trading tips traders can make huge profit in commodity market. Any negative sign is taken for a point to rally up and any positive sign on economy could be interpreted as a point to rally down in gold. Now imagine that happening all the way to 2016! That is a perfect incentive for investors to abandon gold. Especially when there are other less volatile instruments to conduct trade and make money. But, at some point in time, all these QE measures would have to be curtailed. That would be the time when markets would see the perfect storm. Cheap Gold and Silver prices – the deal of a lifetime? Eerily, perhaps the worst precious metals market sentiment currently exists that has been observed since the early 1970’s. 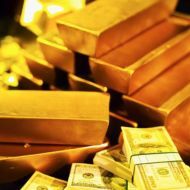 The gold and silver markets have fallen dramatically in the wake of the FOMC signaling an end to its controversial Quantitative Easing or QE programs. The pricing in of such FedspeakQE taper-talk has also triggered a yield spike in southern Europe that could deepen that region’s existing debt crisis. In addition, rising oil prices have been cutting in to already lofty equity valuations, as fallout from the “Black Swan” in the Gulf of Mexico expands. Gasoline prices are already rising. A dead precious metals mining sector has been cutting off any “perceptual” idea of supply as paper metal prices are now well below the cost of production. New supply matters little for gold. For silver, by the time the sector catches up with demand, there will be no silver left. Offset by an unprecedented and record breaking surge in physical demand for silver, from silver coins to international demand. Yet, eerily, perhaps the worst precious metals market sentiment currently exists that has been observed since the early 1970’s. Funds betting on commodity price moves have lost money every month since January, their joint longest losing streak on record, raising more doubts about their ability to make money at a time when the commodity “supercycle” may be over. The average fund slid 3.58 percent in the first six months of the year, according to a widely watched Newedge commodity index. Funds have only suffered five consecutive losing months once before, in 2002-2003, the index shows. Hedge funds market themselves as capable of making money in all markets, yet funds trading commodities as varied as gold, grains and gas, have failed to turn an annual profit in the last three years. The weak performance will put more pressure on the industry to lower fees and introduce clawbacks, which enable investors to reclaim some performance perks paid to hedge fund managers in boom times if the returns they hope to achieve fail to continue. Worries about cooling demand in key markets like China, and a huge shift in the supply-side from shortage to glut, has sent prices tumbling in recent years, and left many warning that the end of the commodity “supercycle” – the long period of rising commodity prices – is here. “Historically most of these funds have been a levered beta play on the commodity cycle, or in some cases arbitrageurs of commodity spreads,” Michele Gesualdi, portfolio manager at hedge fund investor Kairos, said. Adding to the sector’s woes, hedge funds which trade other asset classes such as equities have rebounded this year, including those that trade mining and energy shares. The USD 1 billion fund of Clive Capital, a firm which trades oil and ran about USD 5 billion at its peak, is down 3.5 percent to June 28, performance data shows. Krom River’s Commodity Fund has lost 4.4 percent to end-June, while Brevan Howard’s Commodities Strategies Fund is off 2.5 percent to June 28. Krom River’s chief executive Itay Simkin said that despite falling prices, commodities were still a very good investment due to production problems, urbanisation, decent economic growth rates and a lack of forward investment in mining. Sharetipsexpert.com now offers commodity tips free trial for traders, get now to make huge profit with accurate commodity tips. Other funds mentioned in this story either declined to comment or could not immediately be reached for comment. Funds trading bullion are nursing some of the heaviest losses. Gold has tumbled this year on expectations the U.S. Federal Reserve will cut back on its money-printing programme, which had driven gold to record highs. John Paulson, the billionaire U.S. investor, has seen his gold fund, his smallest with USD 300 million in assets, plunge 23 percent in June and is down 65 percent this year. Despite the losses, most managers are not down as much as commodity prices this year – the 19-commodity Thomson Reuters-Jefferies CRB index fell 5.7 percent through end-June. Some have also shone. After losing 30 percent in 2011 and 7.6 percent and a big chunk of his assets in 2012, Mike Coleman’s Merchant Commodity Fund is up 24.2 percent this year. But the bigger concern for commodity funds is proving they can consistently make money amid a sustained downward trend in prices. The problem, investors and managers say, is that the long, gradual trend of rising prices has been replaced with shorter, more uncertain trends, in which prices can plunge suddenly, making it difficult to profit from their slide. Commodity prices, down 22 percent from a 2011 peak, have entered bear market territory, while volatility – which some funds thrive on – has also fallen, challenging managers further. Oil futures traded modestly lower in the early part of Thursday’s Asian session as traders in the region digested a swath of key central bank and data points out of the U.S. Wednesday. On the New York Mercantile Exchange, light, sweet crude futures for September delivery fell 0.14% to USD106.21 per barrel in Asian trading Thursday. Crude traded slightly higher Wednesday in the U.S. after the U.S. Energy Information Administration said in its weekly report that U.S. crude oil inventories fell by 6.9 million barrels in the week ended July 12, blowing past expectations for a decline of 2 million barrels. Total U.S. crude oil inventories stood at 367.0 million barrels as of last week. The report also showed that total motor gasoline inventories increased by 3.1 million barrels, confounding expectations for an decline of 0.5 million barrels. Oil also got a small lift after the Fed’s Beige Book business survey, which encompasses the central bank’s 12 regional banks, showed manufacturing expanded in most regions since the last report. The report showed modest growth across 11 districts with Dallas showing strong growth. In other economic news out Wednesday, the Commerce Department said U.S. housing starts fell 9.9% to a seasonally adjusted annual rate of 836,000 unit in June, the lowest reading since August 2012. Analysts expected starts to rise to 959,000 units. Bad weather was cited as one of the reasons for the slack reading. With accurate mcx crude oil tips traders can earn good profit in commodity market. ShareTipsExpert, India’s No 1 advisory company now offers free mcx tips for traders. Which help traders to get better profit in commodity trading. Meanwhile, Angola, a member of the Organization of Petroleum Exporting Countries, forecast its daily output for September will be 1.67 million barrels, well below the 2 million barrels per day target. The country expects to pump 1.7 million barrels a day next month. Angola is Africa’s second-largest oil producer behind fellow OPEC member Nigeria. This year, Angola has averaged about 1.72 million barrels per day in production, below the daily average of 1.9 million barrels for Nigeria. Angola is banking on new offshore discoveries to boost output in the future. Elsewhere, Brent futures for September delivery inched down 0.04% to USD108.63 per barrel on the ICE Futures Exchange.